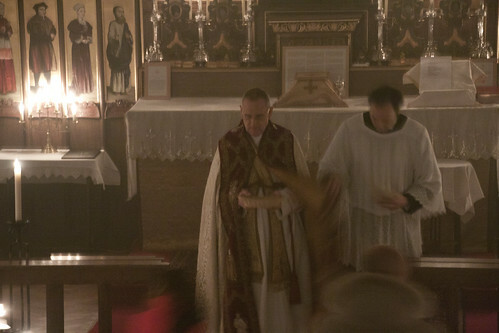 A couple of Australian priests have started an online petition to the Holy Father for the restoration of the practice of receiving communion on the tongue for the whole Latin Church. They should be supported: why not go over there and sign up? Bishop Athanasius Shneider and Cardinal Burke have already signed up! Bishop Shneider's book 'Dominus Est' is an excellent intriduction to the arguments. Pope Paul VI allowed communion in the hand only as a concession, limited to places where the abuse was already established. 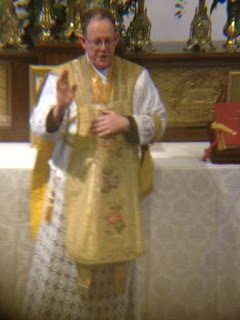 It has become clear that the original arguments in favour of communion in the hand - historical, theological, pastoral - were spurious and it is time this permission was withdrawn. We need also to make reparation for the countless acts of profanation of the Blessed Sacrament which have been facilitated by this practice. 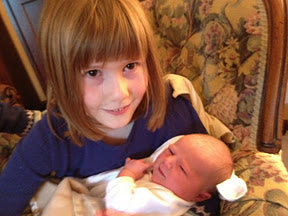 Yesterday evening another family member arrived, a little girl. Mother and baby are both very well. You can dowload an application form for both events here. and for the Chant Course. We are on track for a lot of very exciting events this year, and here are some of the first: the regular St Catherine's Trust Family Retreat and (running in parallel) the Gregorian Chant Network Weekend Chant course, on Low Sunday weekend, after Easter, 13-15th April. The venue is the Oratory School in Oxfordshire, between Oxford and Reading and near Pangbourne railway station (link to map). 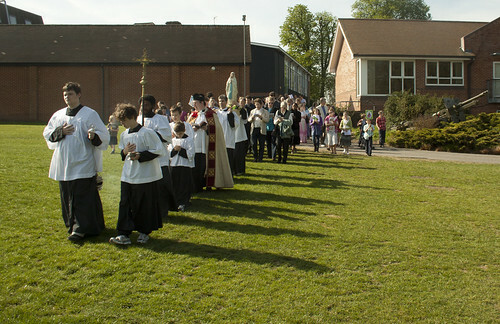 The Family Retreat is a unique event, with around 150 people, including children of all ages, on retreat with the Traditional Mass and devotions. Everyone is welcome - you don't have to be or have a family! 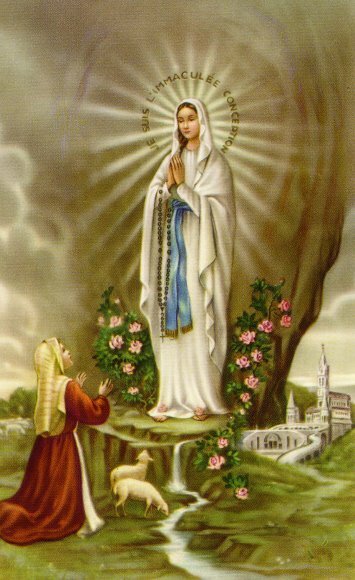 - but we have activities for children of all ages to enable their parents to attend the spiritual conferences as easily as possible. 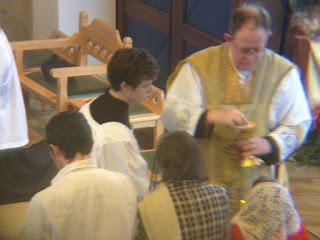 This year we will have two priests, Fr Andrew Southwell and Fr Thomas Crean OP, and hope to have a seminarian as well. Running alongside this is a Chant course. Again, everyone is welcome, with any level of experience. 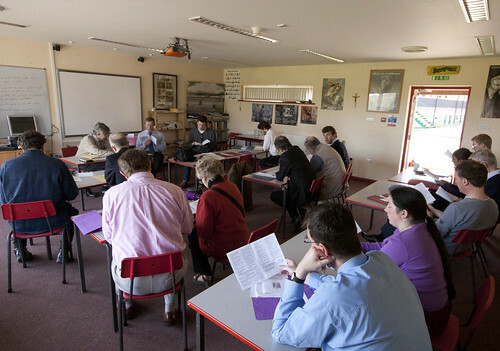 The course is led by Colin Mawby, the composer and former Director of Music at Wesminster Cathedral, and Christopher Hodkinson, of the Schola Gregoriana of Cambridge. Having two chant tutors will enable us to divide the group according to the experience of the singers, so everyone will get the most out of it. The singers accompany the Masses and devotions of the Retreat, so as well as theoretical work on the chant there is live singing with an audience. 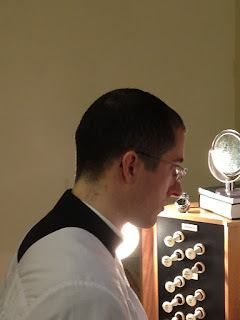 Ian Verrier, who I mentioned just the other day as a Fraternity seminarian visiting the FSSP apostolate in Reading, has given a interview in the current Catholic Herald. It's not on the CH website, but happily the interviewer, Mary O'Regan, has it on her own blog, The Path Less Taken. And a very good interview it is too! Go over to her to read it. 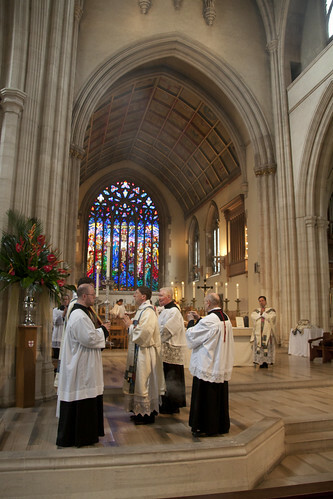 The number of men from England and Wales joining the seminaries of Traditional orders - the Fraternity of St Peter, the Institute of Christ the King Sovereign Priest, and the Sons of the Most Holy Redeemer - is one of the great success stories of the Traditional Movement here. There will be a feature article about this phenomenon in the next Mass of Ages: don't miss it, you'll be able to get it here. Don't read it three weeks after everyone else like The Tablet does, get it delivered your door by joining! The Latin Mass Society gives financial support to these courageous young men: you can make donations to our 'Seminarian Fund' which is spent on nothing else. 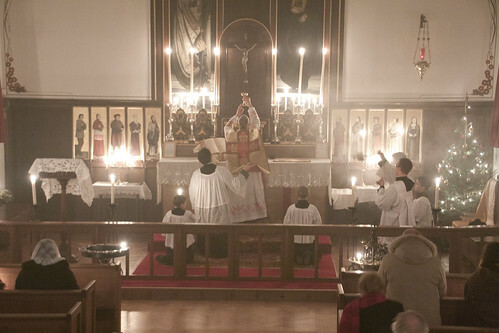 Friday was the first, and I think perhaps it will be the last, time that English Catholics will be required to abstain from flesh meat on 6th January, which is the Feast of the Epiphany in both the reformed Universal Calendar and the 1962 Calendar. 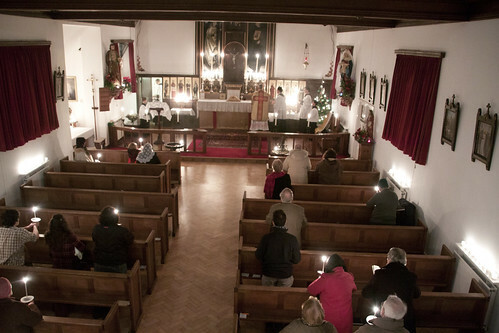 We had a splendid candle-lit Mass in SS Gregory and Augustine to celebrate this important feast. A good occasion for lobster and caviar, perhaps! The Church of SS Gregory & Augustine's looks quite well lit, but it is a trick of the camera. 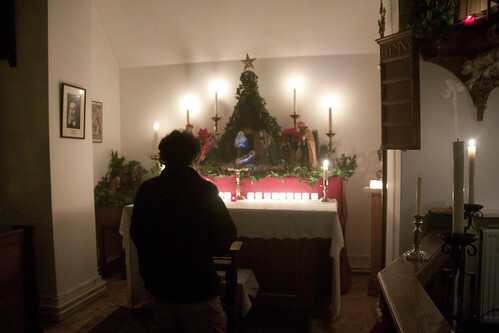 It was lit entirely by candles, except for the choir loft - we had a single electric bulb! 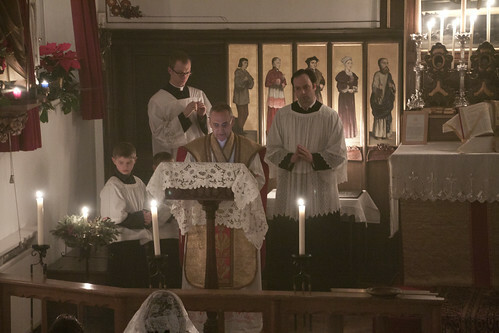 The solemn proclamation of the moveable feasts of the year, after the Sermon: chanted in Latin. 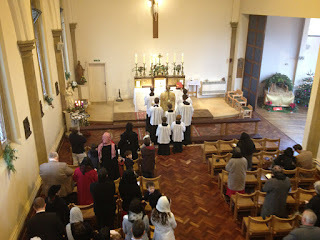 The distribution of blessed chalk, at the end of Mass. A lovely occasion. Many thanks to Fr John Saward and the parish of SS Gregory & Augustine's in Oxford, and the Schola Abelis, who accompanied the Mass.